Is this what the 2018 BMW Z4 Roadster will look like? 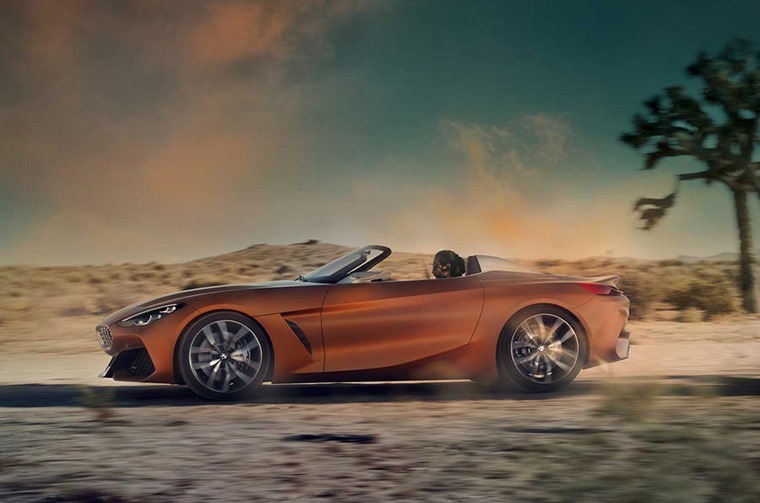 BMW has revealed a sharp-looking concept that gives us a good idea of what we can expect its all-new Z4 Roadster to look like when it hits the road next year. Unveiled at the Monteray Car Week, it will rival the class-leading Audi TT when it makes it into production and makes use of BMW’s latest styling cues that we’ve already seen on the rather spectacular-looking 8 Series concept. 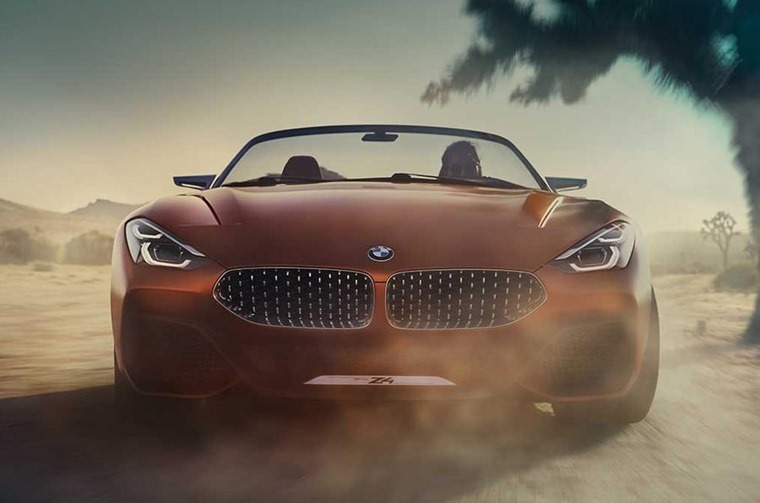 The Z4 gets sharp, angular headlights incorporated into the wings, while BMW’s trademark ‘kidney’ grille is much more prominent than it is on the company’s current range of cars. According to BMW, 80% of this concept car will make it into production variants, so we can expect the new Z4 to look largely the same as what we see here. We’re yet to see a picture with its roof in place, although it’s been confirmed it will get a soft-top, meaning it’s likely to be lighter than the current car which makes use of a folding metal roof. Like all BMWs, the interior is very driver-orientated, with a large deep-dish steering wheel being a refreshing breakaway from the norm. We’ll have to wait and see if this makes it into production cars though. The concept also makes use of LCD screens for driver info rather than traditional dials, although again whether this will be a standard feature on the production car is yet to be confirmed. No details have been revealed about the drivetrain but it’s likely to feature a rear-drive layout like the current car and will feature a range of four- and six-cylinder turbocharged engines.